Wide bed frame with panelled extended headboard with floating glass bedside units. 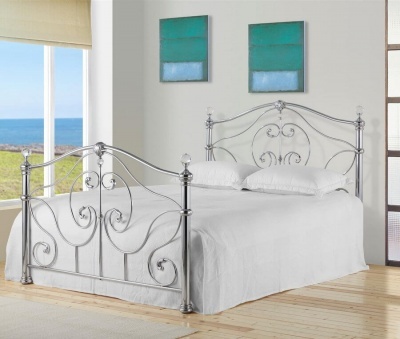 Add a boutique hotel look to your bedroom with this luxurious and sensual bed frame. Black stained wenge finish veneer designer king-size bed frame with sprung plywood slatted base for extra comfort. Fits a 152 x 200cm mattress available separately.